Melody Eagan understands that attention to details makes the difference. Melody has decades of experience defending clients in high-stakes catastrophic injury and wrongful death cases. A trusted regional counsel for a number of manufacturers, Melody has successfully tried numerous cases to verdict throughout the Southeast. She understands that the key to handling product liability cases is a detailed understanding of the product’s design and utility, and because of her experience and attention to detail, Melody is at home presenting complex engineering concepts to juries in an easy-to-understand fashion, picking apart experts’ theories and defending her clients’ products. In addition to her product liability practice, Melody regularly represents doctors and hospitals in medical malpractice cases. She also serves as appellate counsel for a number of clients, assisting them not only with appeals but also preparation and oral argument of dispositive and other significant pretrial motions at the trial court level. 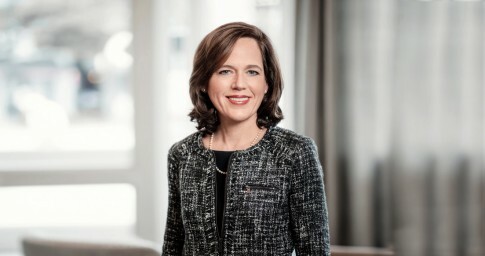 Melody, Lightfoot's current managing partner, is the first woman to lead the firm in its history. Melody previously served as the president of the Alabama Defense Lawyers Association (ADLA) in 2012-13, only the third woman ever elected to the office. Melody is also a member of the 2018 Leadership Alabama class. Melody’s interests outside of work focus primarily on her family, her church and music. Married to a trial lawyer, she is a proud mother and a classically trained musician. Melody plays piano at her church, teaches children’s Sunday school and serves in various church leadership roles. She has been a longtime fundraiser for the American Heart Association and has served on the Board of Directors for Magic Moments, a wish-granting organization for children in Alabama with chronic life-threatening illnesses. Melody also enjoys running, singing and playing with her two young boys. Securing a defense verdict for a gas-valve manufacturer after a two-week jury trial in South Carolina. The plaintiffs, two propane workers who were servicing a tank at the time of a gas explosion, suffered serious life-altering burns and claimed out-of-pocket damages in excess of $3.5 million. Winning a defense verdict for a family practice doctor in a wrongful death medical malpractice case in Alabama where the patient’s widow alleged that her husband died as a result of the doctor’s prescription of a hormone treatment in combination with a weight loss medication. Securing the mandamus and reversal by the Alabama Supreme Court of a trial court order allowing an inspection by plaintiffs’ expert of a client’s tire manufacturing plant. Securing the Rule 702 exclusion of numerous experts in both federal and state court cases, including the exclusion of an expert chemist’s testimony upheld on appeal by both the Alabama Court of Civil Appeals and the Alabama Supreme Court. Acting as regional counsel for the world’s largest manufacturer and maintainer of people-moving products, including elevators, escalators and moving walkways. Representing a major appliance manufacturer in fire and serious burn injury cases throughout the Southeast, including cases in Alabama, Georgia, Mississippi and Texas. Serving as regional counsel for a Fortune 500 worldwide company that manufactures products and provides engineering services for a wide range of industrial, commercial and consumer markets. The trial was in rural Mississippi. The plaintiff was burned in a flash fire when she opened her oven door to retrieve some homemade biscuits. One of the volunteer EMTs at the site mentioned seeing tools on the shelf of a nearby propane furnace, as well as some matches and a homemade lighter. The EMT also told our investigator that the plaintiff had said that her husband was fiddling with the furnace that morning, a fact the plaintiff later denied. When we tested the furnace’s gas control valve, the valve stuck open and leaked — not because of a defect in the valve, but because of a nest built in the valve by Mississippi mud daubers. The plaintiff’s expert had stored this valuable piece of evidence in an open shed. The obvious defense was spoliation after the accident by the plaintiff ’s expert and the lack of any evidence of a defect. Even though we were armed with a good defense, we could not resist arguing that the plaintiff 's husband caused the gas leak, so we called the EMT as a witness. Little did we know, the EMT was the plaintiff s neighbor and had been sued by the plaintiff because her pet goats had repeatedly feasted in the plaintiff’s yard, leading to a neighborly feud rivaling the Hatfields and McCoys. Unfortunately, as a result, the plaintiff’s counsel successfully made our star witness out to be vindictive rather than credible. From that day forward, I’ve prepared my cases by asking myself, “Do I really need to go after those tools, or do I risk becoming a goat by 'biting off more than I can chew'?"